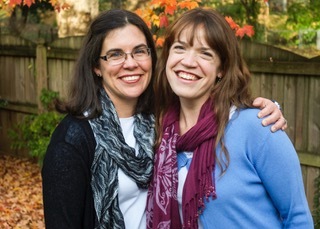 As we head into 2019, we’re going to take some time and give you a behind-the-scenes look at the Redeemed Reader team. 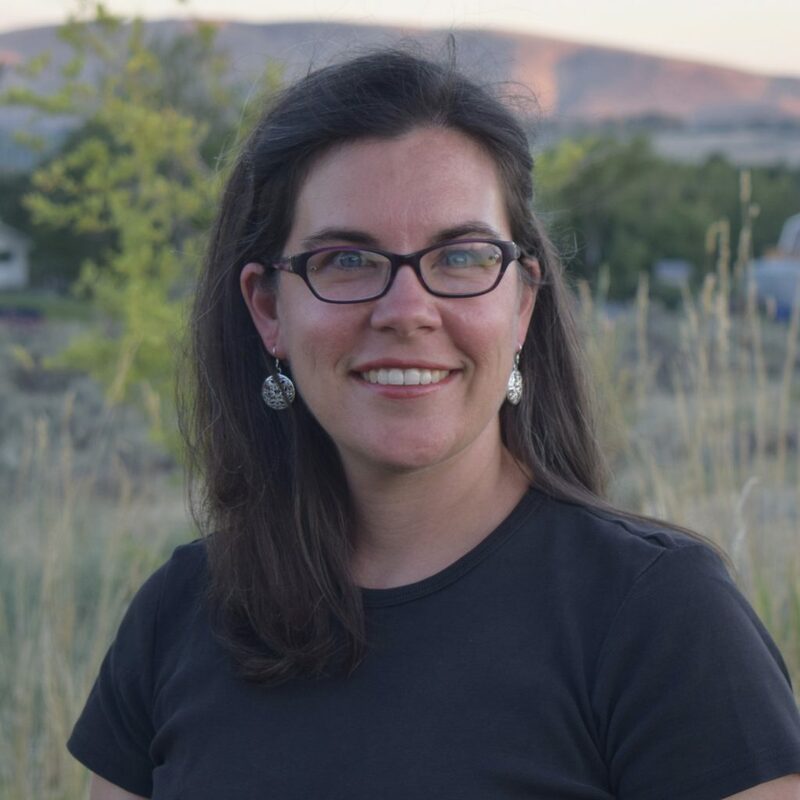 So, with Hayley (our executive assistant) as interviewer, we’re starting off with our Managing Editor and Staff writer, Betsy Farquhar. What is your first reading memory? What are some books you remember your mom reading aloud to you? I remember —vividly— the first page I ever read on my own. I can remember lying on the couch in our den, and I must have been about 5, but it was before kindergarten. It’s the page in Danny and the Dinosaur with the gorillas. Suddenly, I was actually reading the words. It was pretty electrifying, and it’s one of my earliest memories of anything. 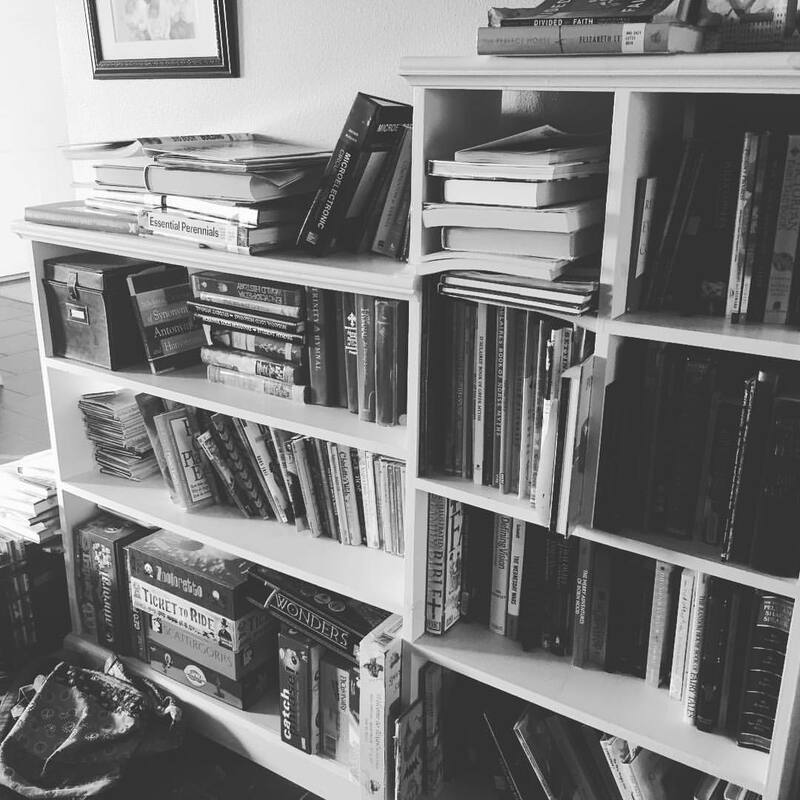 I also remember my mom reading to us on a different couch (in the “living room”): the Narnia books, Frog and Toad and Little Bear (books that made it into our family vocabulary for sure), and a host of others. One of the funniest memories is when she read us Superfudge on someone’s recommendation only to be disgusted at what she was reading (which made my sister and me laugh). I don’t know if we ever finished that one! How did you first become interested in children’s literature as a professional pursuit? 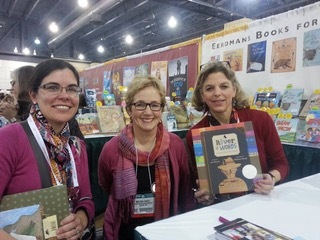 Betsy meeting Jen Bryant and Melissa Sweet at ALA Mid-Winter several years ago. 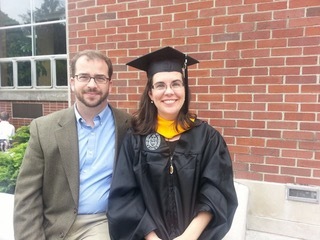 I graduated from Covenant College with an English major and education and youth ministries minors. I worked at Covenant for a few years after graduation and decided to use my employee benefits to sit in on some classes. The first: Children’s Literature (which hadn’t been required for my degree). The professor was one of my thesis readers from the year before, and he and I shared a love for George MacDonald. I was sure his class would be right up my ally. And it was! Megan and I owe much to that prof: Mr. Ethan Pettit. His thoughts on children’s literature not only paved the way for us both to pursue children’s literature in higher education, but that class informs our interpretation of children’s literature to this day. If you didn’t realize before, Betsy and Megan’s connection goes much farther back than this Redeemed Reader retreat! —I went on to Hollins University for my MA in Children’s Literature (along with Megan) and later earned an MSIS from the University of Tennessee with a school library emphasis (hint: the school librarians get to take all the children’s lit classes!). I remember you said you were resolving to read less this year. Tell me more! Hmm. Thanks for reminding me of that goal, Hayley! So far, I’ve read quite a bit, but January is always a heavy reading month for me (finishing up World magazine Book-of-the-year committee reading and trying to cover the ALA YMA titles I’ve not seen!). I’d like to be better at reflecting on the books I read, and I’d like to read a few books like Metaxas’s Bonhoeffer that will take me some time. How do you keep track of all the books you read? I put nearly all the non-picture book titles on Goodreads and have for years. I used to write reviews on Goodreads, but now I just rate and “shelve” them. I have a print reading journal that I started writing in this past year, and I’d like to make that a more intentional practice this year. Jotting down some thoughts on each book will slow me down a touch (I tend to be a “chain reader,” picking a new book up as soon as I finish one!). What is a book and/or quote you enjoyed this past month? 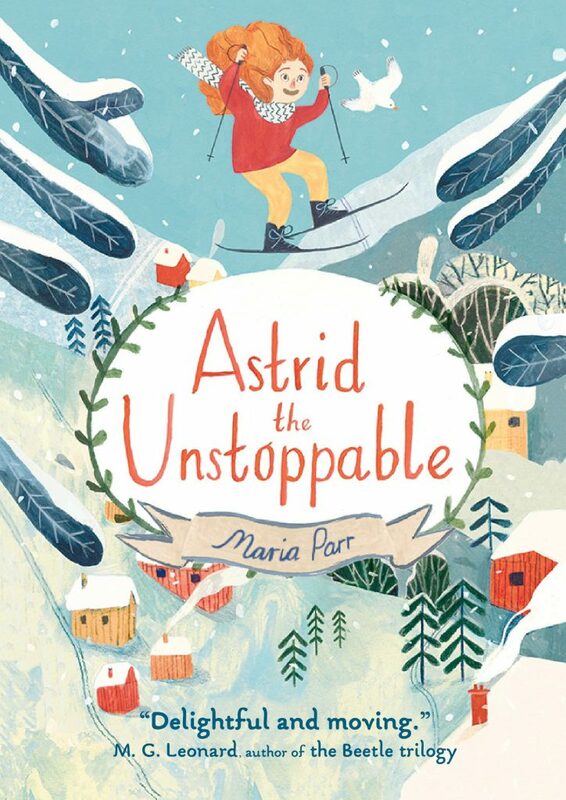 My current book crush is Astrid the Unstoppable. I think I might start using some of the exclamations in that book: “Blinking Badgers” is a fun one. I’ve also spent some time going back through the titles for our upcoming read along (stay tuned, readers! ), and there are some gems in those books. What is a book (or audiobook!) your family is enjoying? My kids and I are listening to Little Britches right now, and we’re really enjoying it. How do you manage to read so much? Where do you fit it into your life? There are books on every available surface in my home (and some not-so-available surfaces!). I listen to books instead of podcasts (currently in my headphones: Pride and Prejudice), and I bring a book with me anywhere I might be waiting (piano lessons, doctors’ offices, etc.). It is getting harder as my kids get older because we don’t read aloud quite as much as we used to and we’re on the go a bit more. Middle schoolers are busy people! So I find myself putting down books that aren’t worth it more quickly. I don’t finish everything I start.